Go green with these silver stacking resin chiavari chairs. These chairs stack up to 7 high. 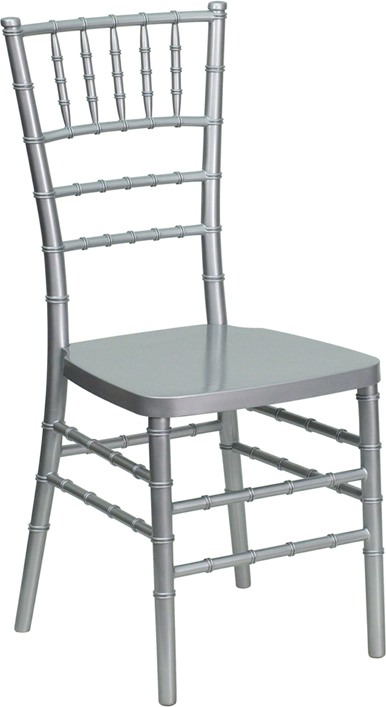 Just imagine how good these silver chairs will look in your ballroom. This fine quality constructed chair has a stainless steel internal frame for maximum durability.